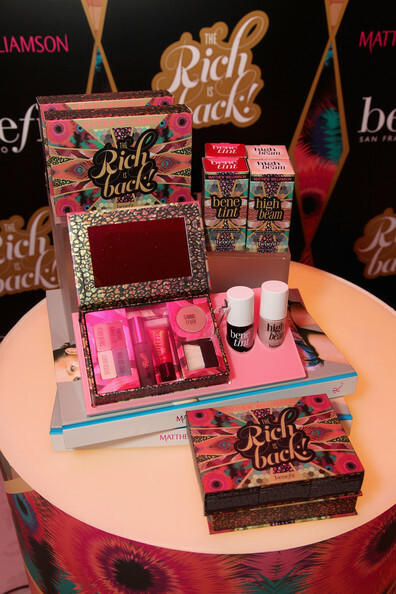 One of my favorite make-up brands Benefit Cosmetics and British designer Matthew Williamson have teamed up to release a limited edition beauty kit entitled Rich Is Back. Inspired by Williamson's Spring 2012 collection, the kit features Benefit's eye shadows, lip gloss, They're Real mascara and blush. 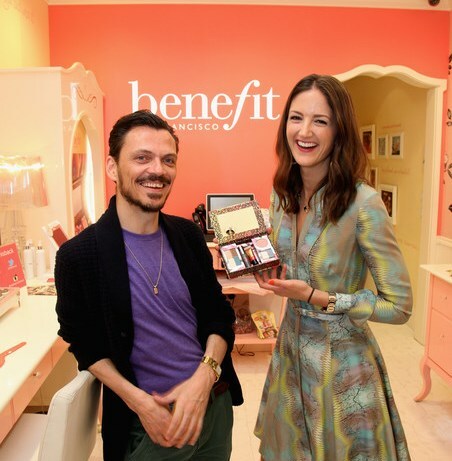 Apart from the kit, the collaboration also features Benefit's popular Benetint and High Beam. Looking at the picture, the only difference when it comes to the tints is the packaging- the product looks the same. The limited edition kits will hit the UAE market around September 2013. And here's the designer and Benefit's fab Maggie I met when she visited Dubai for the Fake Up launch. Here's to more fun collaborations. Perhaps they should collaborate next with Elie Saab? Not yet- but I'm assuming they will bring it here too.